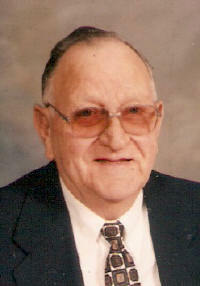 Melvin G. “Mel” Becker, 88 of Trenton, died Sunday, June 20, 2010 at his residence. Mr. Becker was born December 25, 1921 in Trenton to Alois and Hannah (Crannage) Becker; they preceded him in death. Also preceded in death by a brother, Forest “Bud” Becker; a sister, Lillian Krueger; sisters-in-law and brothers-in-law, Gloria Becker, Katherine and Ed Ficker, Christine and Herman Schniers, Victor Wehlage, Ed and Irene Wehlage, Armella and Rich Holtgrave, Leona Wehlage, and John Wehlage, Jr. in infancy. He married Florence Wehlage on April 29, 1947 at St. Dominic Church in Breese; she survives in Trenton. Also surviving are his sons, John Becker and Tom Becker both of Trenton; 2 grandchildren, Matt Lezon and Jenny Albers; a daughter-in-law, Cheri Lezon of O’Fallon; and a sister-in-law, Marge Wehlage of Glen View, IL. Mel retired as the owner/operator on Becker Oil Co. in Trenton and he was a veteran of the United States Army. He was a member of St. Mary Catholic Church, Trenton American Legion Post 778, Trenton VFW Post 7983, Charter Member of Trenton Nut House Club, retired volunteer after 30+ years form the Trenton Fire Department and was inducted into the Clinton County Baseball Hall of Fame. Funeral Mass of Christian Burial will be Wednesday, June 23, 2010 at 10:00 am at St. Mary Catholic Church in Trenton with Fr. Eugene Kreher officiating. Interment will follow in St. Mary Cemetery, Trenton. Visitation will be Tuesday, June 22, 2010 from 4:00-8:00 pm and again on Wednesday, June 23, 2010 from 8:00-9:30 am at the Moss Funeral Home in Trenton. 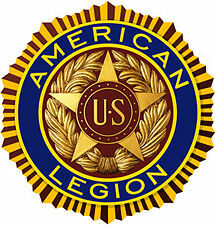 Memorials can be made to St. Mary Church or to the American Heart Association and will be received at the funeral home.